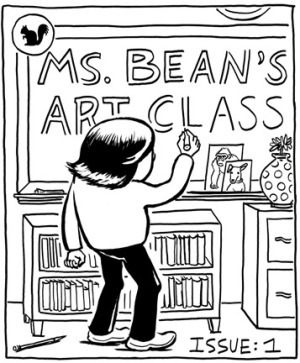 Ms. Bean’s Art Class #1 is a collection of short slice-of-life observations and anecdotes surrounding events in the titular Cara Bean’s classroom. 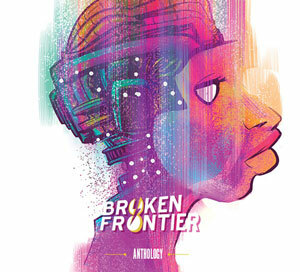 Each entry can vary in length from a single page cartoon to a several page comic strip. Thematically and structurally it’s a noticeably diverse collection, not just in terms of style and approach but in tone and mood as well. 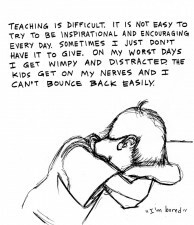 Bean is an engagingly honest narrator – unafraid to recount both her successes and her shortcomings as a teacher – ensuring that the reader is rooting for her throughout in her mission to foster a love of art and a sense of community among her students. 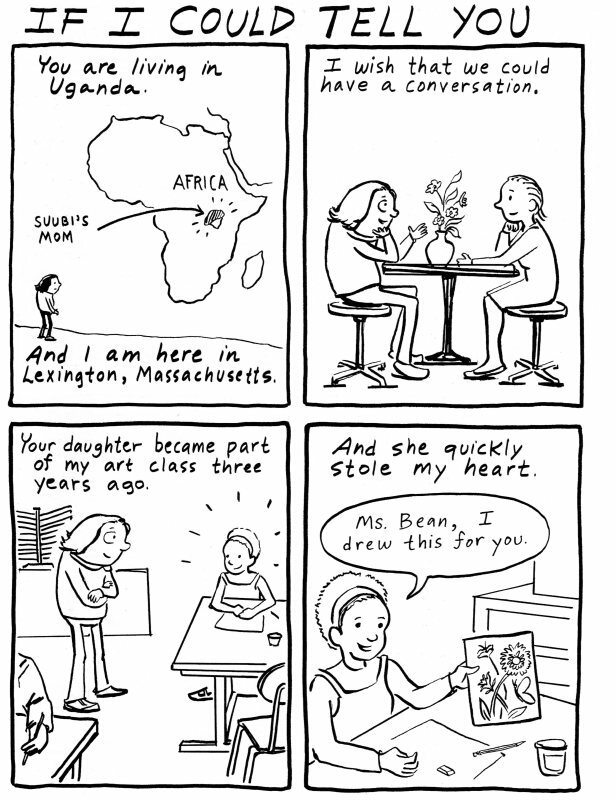 Some of the strips in this comic may be slight in story but nonetheless are expansive in emotional impact. The beautifully executed four-pager ‘If I Could Tell You’, for example, takes the form of a never to be delivered missive to the mother of an international student that leaves you in no doubt as to what an exceptional pupil her daughter Suubi is, while ‘Nice Goodbye’ – a short on a very satisfying final day of class with a previously sullen pupil – is impossible to read without breaking into the hugest of smiles by its last panel. Ms. Bean’s Art Class isn’t all saccharine platitudes though. 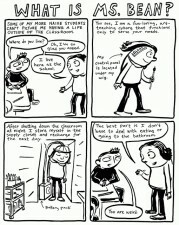 An early story of how Bean inadvertently undermined the confidence of her class with a disastrous icebreaker will have you feeling her pain and awkwardness, and the rawness of the sketch and text reproduced right embodies the kind of despair we are all prone to feeling about our competence and performance in the workplace from time to time. In a way this is a comic that feels like a scrapbook of Bean’s working experiences. Most of the stories are traditional comics autobiography but every so often they go off into a flight of fancy based on something one of the kids has said. A militant group of pens conspiratorially planning disruptive action with cackling glee, to give one instance, or Bean re-imagining herself as a cyborg teaching machine (below left). I was particularly taken by her reflections on the troublemaking hotspots in the classroom in ‘First Day of School To Do List’ – the voice of tested experience speaking! 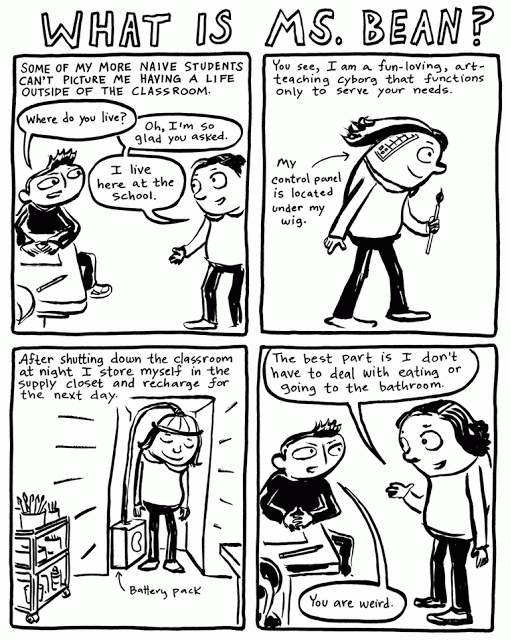 A prime reason for the effectiveness of these comics is the open and accessible cartooning. There’s a sincerity to Bean’s visuals that makes her on-page presence so very endearing and likeable. What is ultimately so touching about her work in this book, though, is that it’s not just about how she inspires her students but about how they inspire her. It’s one of those autobiographical comics that you feel not just a sense of enjoyment on finishing but also one of gratitude. 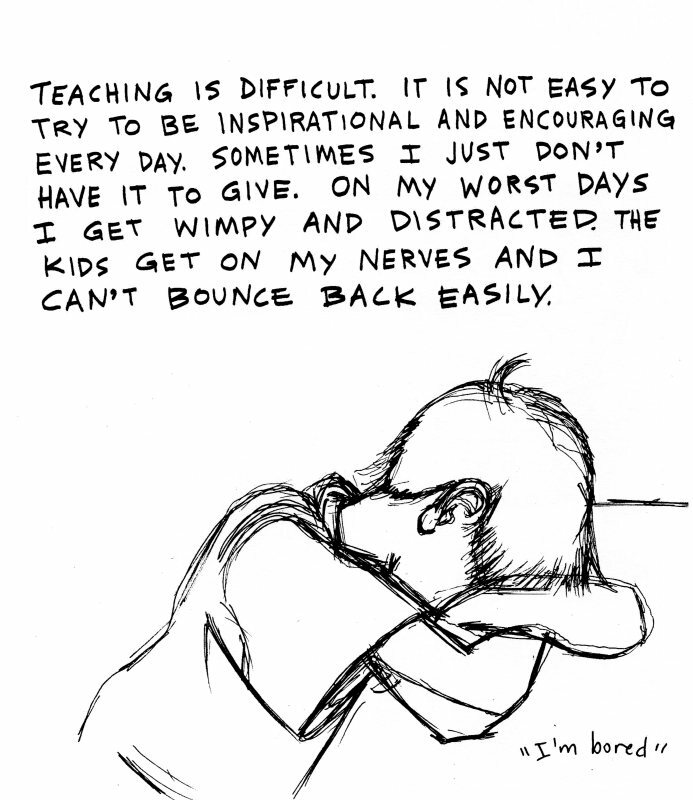 That’s because Bean has a knack of letting you share in both her joy and her students’ triumphs, and of making the audience feel an integral part of the story. For more on Cara Bean’s work check out her website here. Ms Bean’s Art Class is available from her online store priced $5.00 here. It’s brill. I got my copy (I think!) in Gosh. This looks and sounds SO good, thanks for bringing it to my attention, Andy!